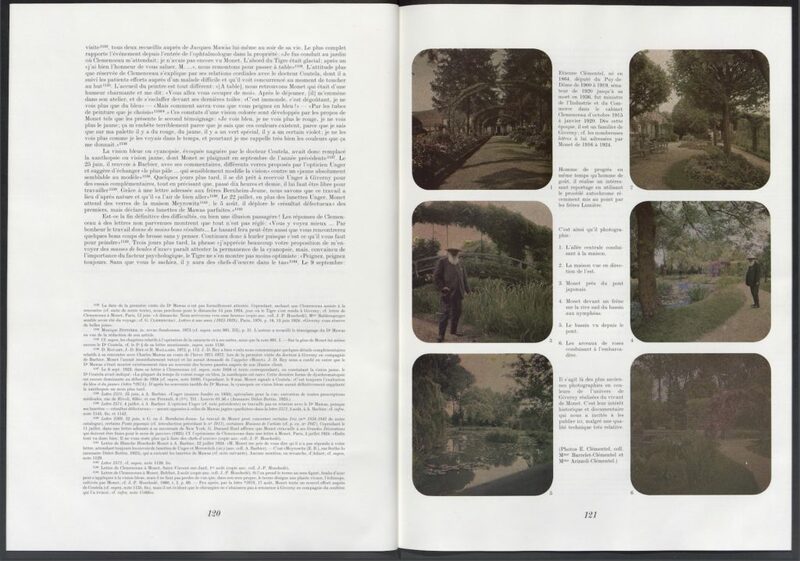 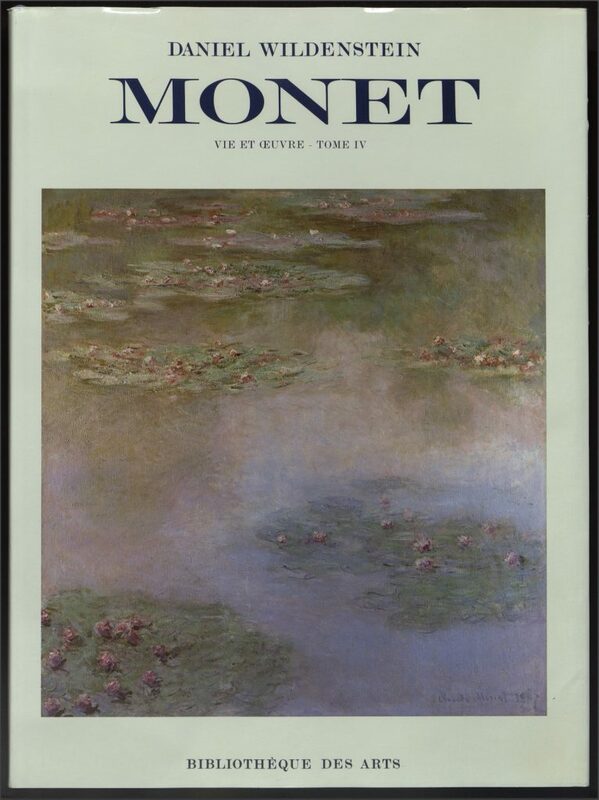 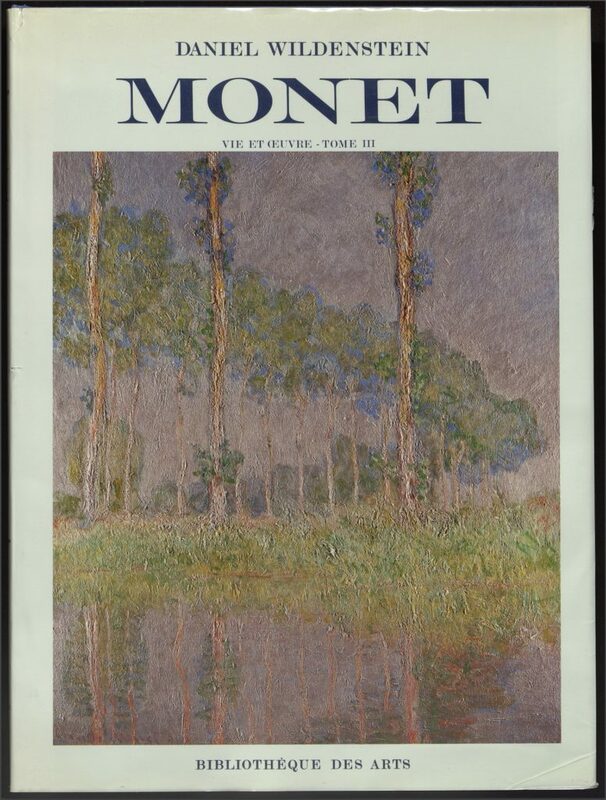 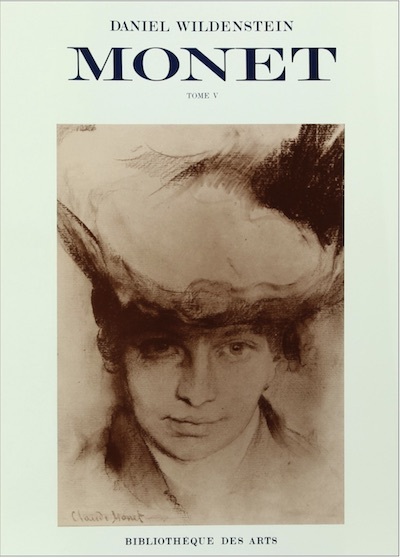 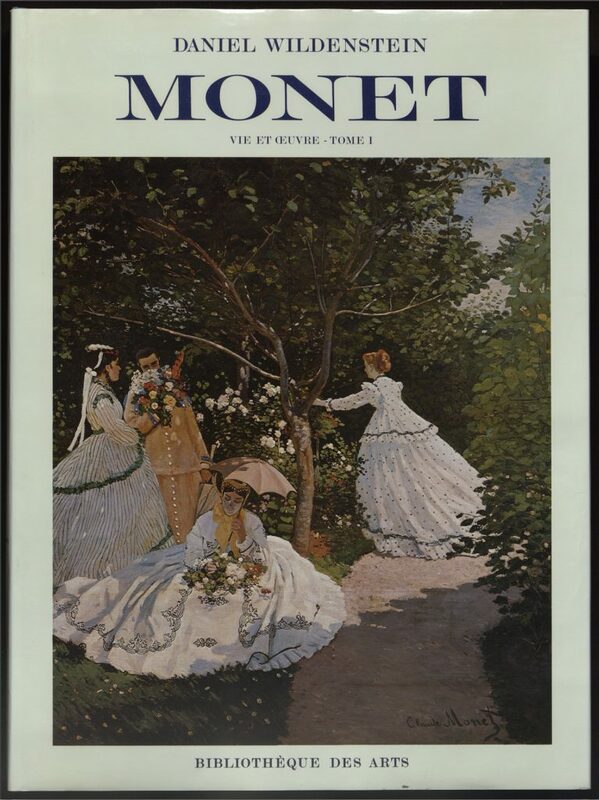 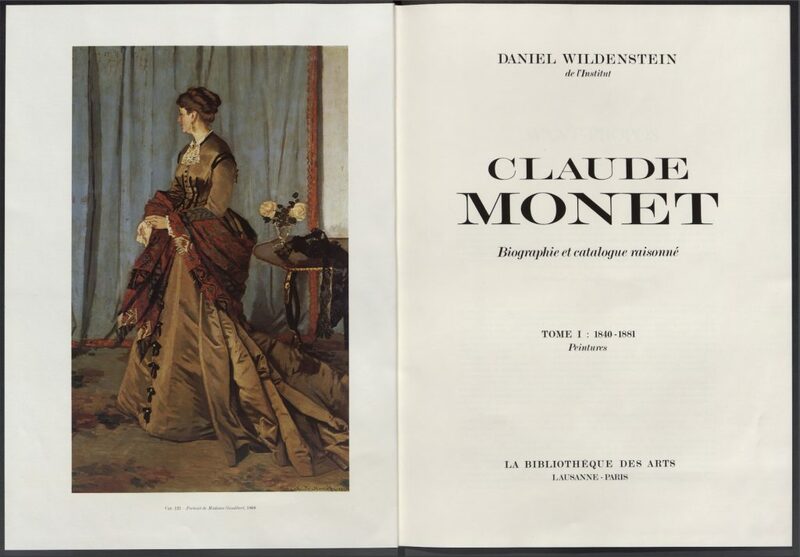 The first edition of the catalogue raisonné of the œuvre of Claude Monet (1840–1926) offers a compelling biography of the artist whose life is recounted in as many chapters as there were significant events in his career. 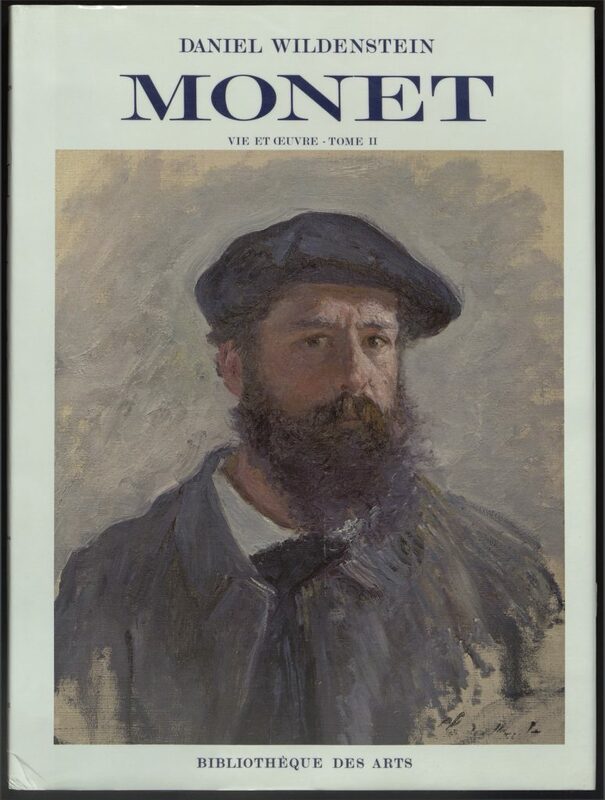 For instance, some chapters address Monet’s encounter with Eugène Boudin or Georges Clemenceau, while others examine the successes and the challenges the artist faced over the course of his career, or the personal losses and public honors. 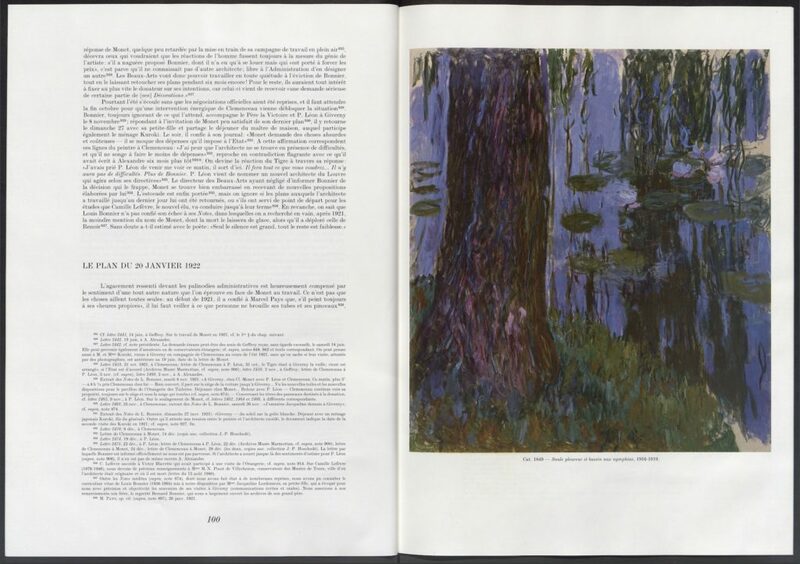 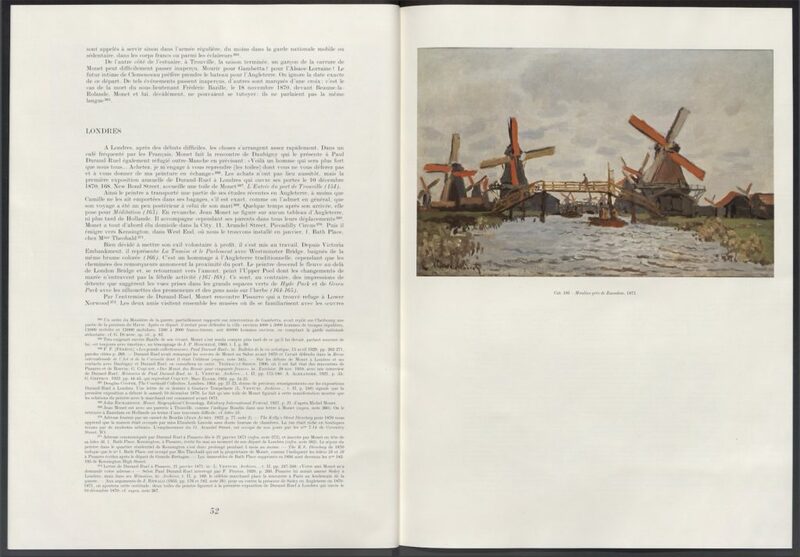 In these five volumes, almost 2,000 paintings are inventoried, analyzed, and reproduced in chronological order, from Monet’s early days as an artist, to his acclaimed Nymphéas series. 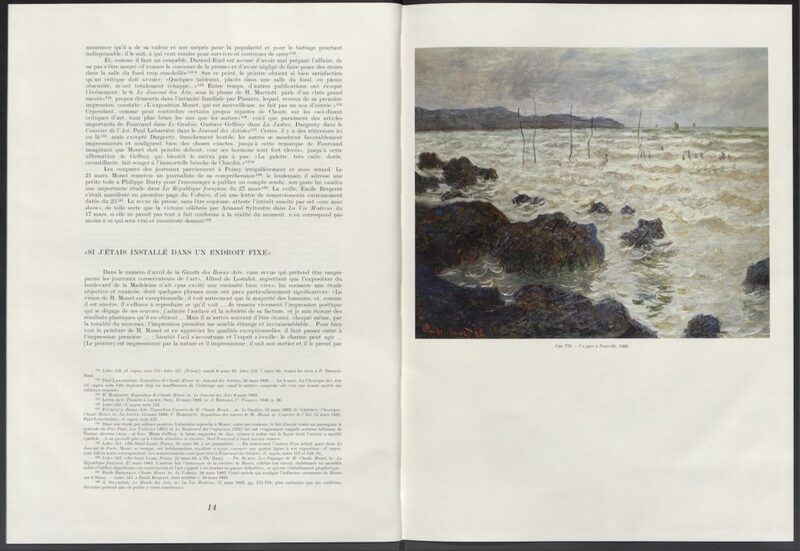 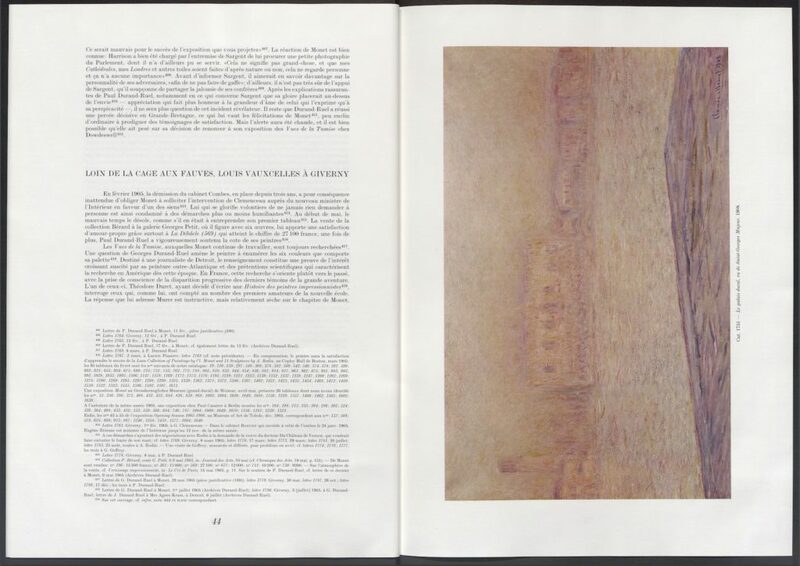 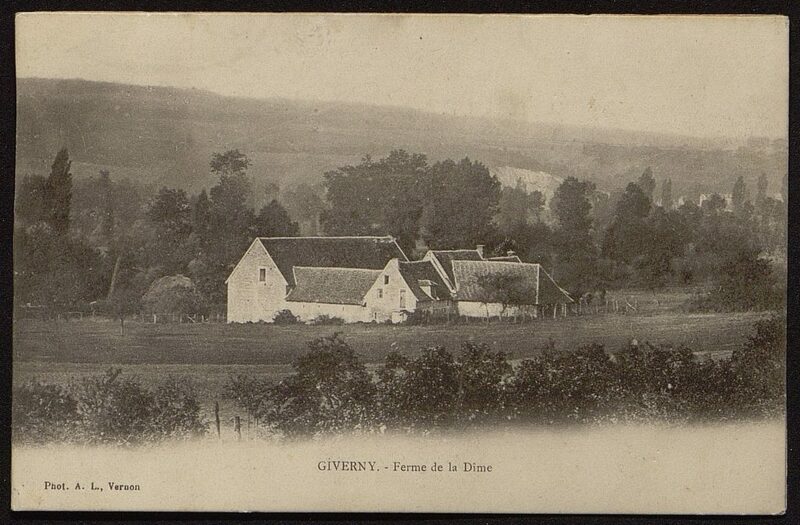 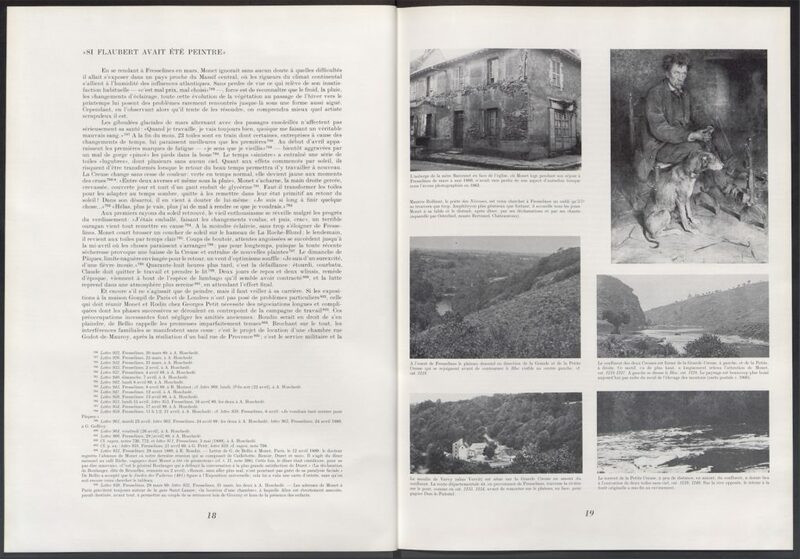 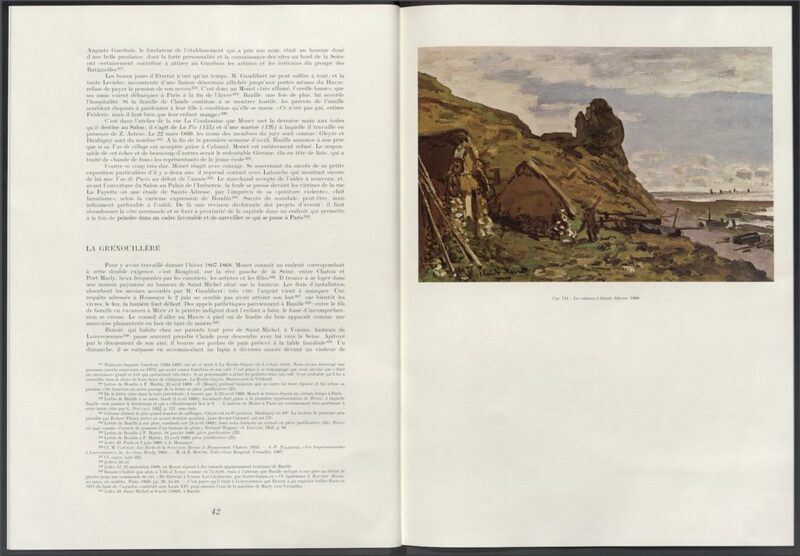 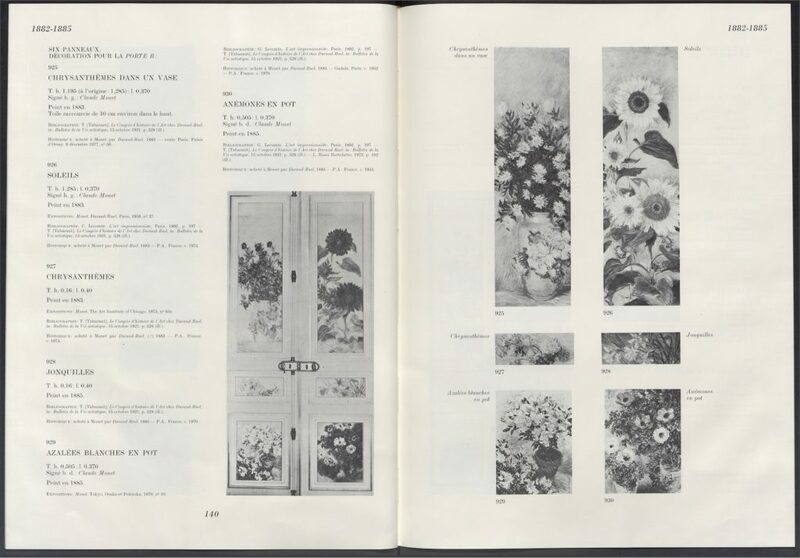 The catalogue also includes previously unpublished letters, and excerpts of correspondence supporting the authors’ attributions and interpretations of the œuvre of one of France’s most celebrated artists.